We’re all familiar with the last-minute holiday scramble of looking for the perfect gift under a serious time crunch. It’s a lot of pressure! But one of the most thoughtful gestures you can make, is giving in the spirit of wellness So don’t stress! We’ve compiled some thoughtful ideas for gifts that keep seasonal health concerns in mind, support New Year resolutions and are sure to be appreciated through the long winter months ahead. It’s here! The season of joy, holiday splendour and the common cold. It’s a safe bet that everyone on your list would rather be making merry than suffering from runny noses, coughs, fever and chills. Here are a few thoughtful tokens that offer up the gift of prevention – the best cure! Pick up some warming teas, that contain immune-supporting and cold-fighting herbs like echinacea, elderberry, or chaga mushrooms. A package of shelf-stable probiotics offers up a portable supply of friendly bacteria that play a part in immunity by reinforcing our microbiome. Pop a travel-size natural hand sanitizer into that special someone’s stocking, to help keep cold and flu bugs at bay, while skipping the drying alcohol and other harsh ingredients. A dry body brush! 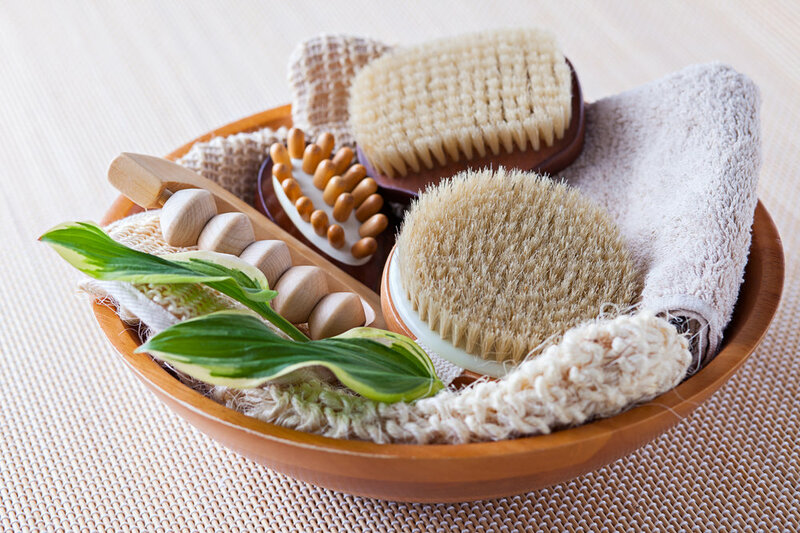 Body brushing encourages healthy circulation, stimulates the lymphatic system and provides rejuvenating skin exfoliation to our skin – the largest organ of waste elimination! Choose a natural-fibre brush, made from coconut husks or the agave plant. A leak-proof, non-BPA water bottle to keep water close at hand. Adequate hydration keeps the body in tip-top shape, supports healthy elimination and combats winter dryness. There are so many stylish options to store your H2O, there is a sleek, option for everyone on your list. Bonus: this makes a great zero-waste gift too! Cleansing teas – dandelion root, milk thistle and burdock all have benefits in supporting the body in gentle elimination and are a hydrating alternative to Peace on earth and peace of mind. Little luxuries for self-care treat the body and lift the spirits – especially this time of year. They nourish us deeply and help dissolve stress and tension. Natural anxiety relief benefits everyone and giving the gift of serenity is always met with gratitude! Peace on earth and peace of mind. Little luxuries for self-care treat the body and lift the spirits – especially this time of year. They nourish us deeply and help dissolve stress and tension. Natural anxiety relief benefits everyone and giving the gift of serenity is always met with gratitude! Adaptogenic herbs are helpful in helping the body adapt to or manage the effects of stress. Rhodiola, Ashwaghanda, and Tulsi (holy basil) can be found in capsule or tea form, to help ease seasonal stresses. Aromatherapy is renowned for its abilities in promoting relaxation. 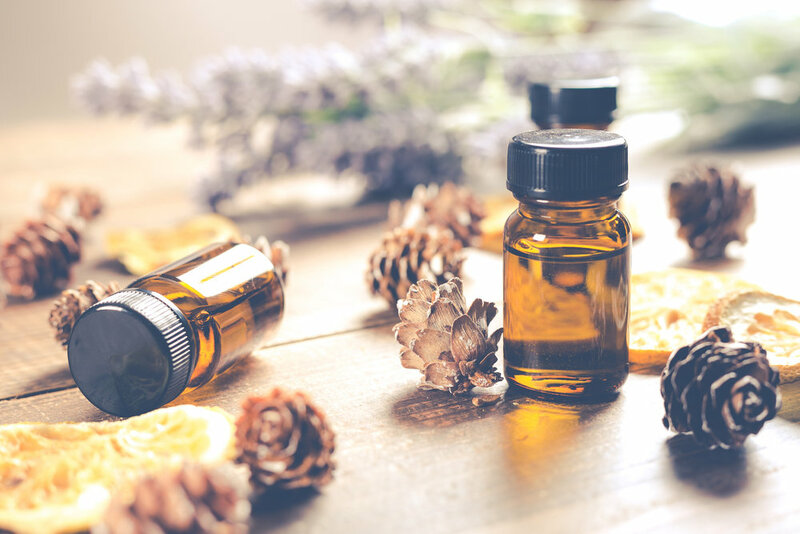 Lavender, chamomile and rose essential oils can all soothe and can be used in a warm bath, a diffuser or applied topically diluted in carrier oils. Self-care surprises are always a hit. Select a nourishing, natural body oil to combat winter dryness, lavender eye pillows deepen peaceful relaxation, or seek out a gift card from a massage therapists, or yoga studios in your area! Nothing brings greater comfort and joy than smooth digestion over the holiday season - easier said than done between the temptation and stresses. But you can show your love with the gifts of sweet relief for too-full bellies, and empowerment for a nutritional reset! Ginger Chews are sweet, spicy, and easy to sock in a purse or pocket for helping to quell nausea and soothe an upset tummy. Shake up a loved one’s health regimen with a gift certificate to a series of holistic cooking classes, or a consult with a holistic nutritionist. You could ignite a new passion and make a big difference in their health for the year ahead. So, don’t panic – simply visit your local CHFA Member health food store for a wide variety of health-conscious gifts and giving ideas that will help to bring your nearest and dearest comfort and joy this holiday season - and throughout the months ahead.